This entry was posted on Saturday, January 1st, 1994 at 12:00 am	and is filed under Paintings, Selected Works. 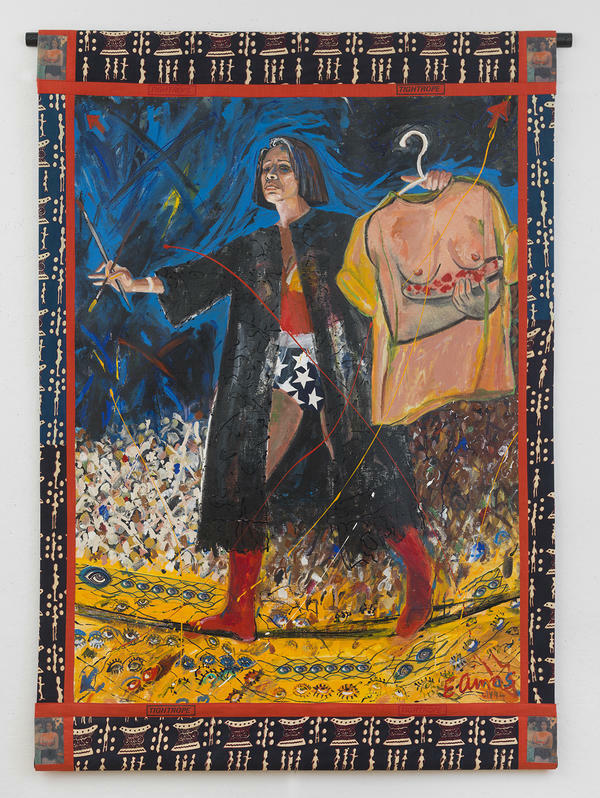 Tags: 1994, acrylic, African fabric borders, female figure, Gauguin, linen canvas, Ryan Lee 2017 show, self-portrait, superhero, Wonder Woman. You can follow any responses to this entry through the RSS 2.0 feed. You can leave a response, or trackback from your own site.